A question. What would you do if you were running a charity that was one of the biggest of its kind, admired by all who come across it, making a real difference to the lives of 38,000 people a year? You might reasonably take a breather and pat yourself on the back. Perhaps dream of being nominated for an honour. A few months ago I was shown round a site near Norwich Airport by Norwich City director Tom Smith and Jackie Thornton, CSF’s Head of Development. It was a derelict piece of land, the former Anglian Windows Sports & Social Club; an ideal potential site, but with the emphasis firmly on “potential”. CSF had acquired the site and had an ambitious vision, to put it mildly, for a new facility to carry out and expand its work. That work, by the way, involves far more than sport. The Foundation serves people across the age spectrum, disabled and able-bodied, helping them develop skills and build their physical and mental well-being. Along the way – and a big part of what it does – is giving people reason to smile. Much as the Foundation already does, the need is greater than ever. Back in August we discussed Phase 1: re-furbishing the clubhouse and turning part of the wasteland into seven football pitches. That phase is on track and will be in full operation in the next few months. Phase 2 is the big one: the creation of a multi-purpose community hub. 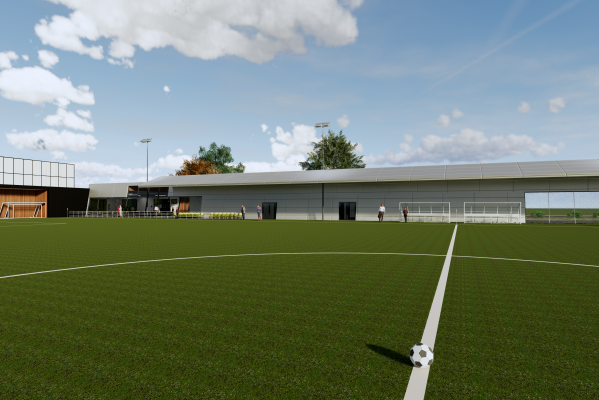 Taking out the jargon, it means building an indoor sports hall, classrooms, gym, accommodation and a floodlit 3G football pitch (below). It will be a leading facility by anyone’s standards, and a great environment for the Foundation’s exceptional staff to do their work. You may have read something about this development. It’s called The Nest – appropriate not only for its reference to City’s former home, but for its connotations of support and nurturing. I say it “will” be a leading facility, rather than “might” be, because CSF has a record of getting things done, even the ambitious ones. It has the land, the vision, and it certainly has the people. It has the potential to raise that figure of 38,000 people helped each year to more like 50,000. What it now needs is the money – more specifically, £9.4 million. Much of that will come from various grants, but a significant portion will come from the businesses and people of Norfolk. The Yellow Army should feel proud of what CSF already does, and even more proud of its plans. The good news is that we can also be an army of advocates and supporters to help those plans come to fruition. What happens now? CSF runs a number of fund-raising events every year, including walks, cycle races, an annual quiz and Run Norwich – let’s look out for them, take part and/or give whatever support we can. We can also make sure any businesses or organisations we’re in contact with are aware of the opportunity for partnership with The Nest – it will reflect well on them, as well as helping the project. The club isn’t allowed to directly fund the Foundation but supports it however it can. The Legends game to mark the 25th anniversary of our meeting with Inter Milan, for instance, is a fund-raiser for CSF and The Nest. Let’s get our tickets. This kind of stuff isn’t separate from what happens on the pitch. Several times recently – not least the commemoration of superfan Michelle Dack – we’ve seen the wider bond that exists in our club, and we know it matters. Many clubs have a sense of community, but ours is special. The Nest is an inspiring idea, with a simple but powerful hashtag: #buildthenest. I’m glad it’s the idea of a football club and its associated charity – and doubly proud it’s one of our own. There are three “themes” for Norwich City’s Community Sports Foundation’s work: Education, Health and Inclusion. And, as you say, they are among the biggest football club charities in the land. In terms of the money they raise to spend on those three themes, they’re in the top four. it’s and extraordinary success story. But the danger is that one can get bogged down with numbers and “outcomes”. As a CSF trustee, I try to remind myself that the pie charts, balance sheets and impact assessments are actually about invidual people — folk like the mum who wrote to the CSF and said: “I only have one picture of my autistic son smililing: at one of your sessions”. Similarly, when I think about The Nest, I remember one comment made by Jackie Thornton, the CSF Head of Development, when we were pouring over spread-sheets about the cost. She looked away from the figures for a moment and said, almost to herself, “We could reach so many more people”. The idea of Nest-building came about because the CSF have outgrown Carrow Park, their facility across the car park from Carrow Road. The CSF spend money — which could go on their programmes — on hiring facilities and accomodation. 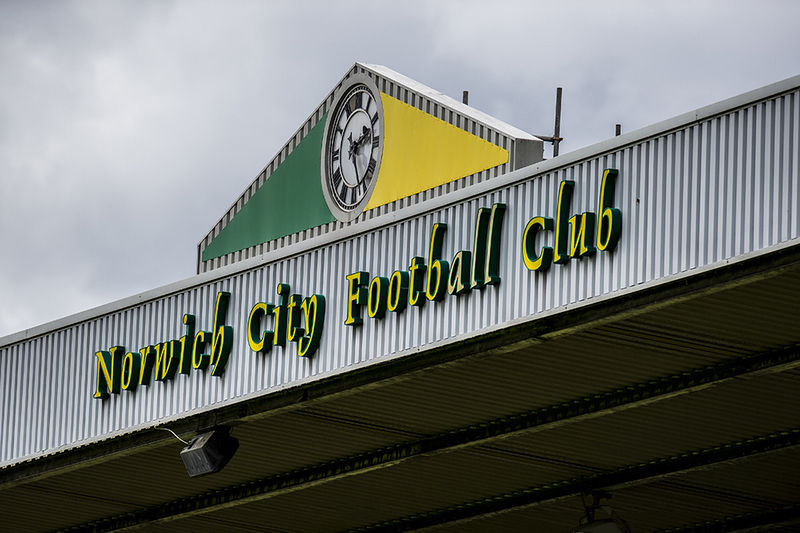 And it is probably worth underlining that although the CSF use the power of football, and the Norwich City “brand”, to engage people, they are an entirely separate, stand-alone, charity. And so The Nest cannot be an adjunct to or for the Academy at Colney. The charities and individuals who are stumping up most of the cost of The Nest simply wouldn’t be involved if they thought that they were in any way subsidising a Championship football club. They’re not. They’re helping to change lives. Excellent article on the work of CSF. My son coaches disability groups for both autistic and Down’s syndrome players, and finds it so much more rewarding than coaching youngsters without disabilities. He is now boasting that as of last Saturday he is the only Norwich manager to have beaten Arsenal 7 – 0!